This is based on the recipe for Lazy Lasagna, which was vegetarian. I was cooking this for people who prefer to have meat with every meal, so I added the ground turkey. Follow the above link for the meatless version. 1. Cook pasta according to package directions. Meanwhile, crumble turkey into a large skillet. Cook over medium heat until no longer pink; drain. Stir in the spaghetti sauce, cottage cheese and mozzarella. Fold in the noodles. 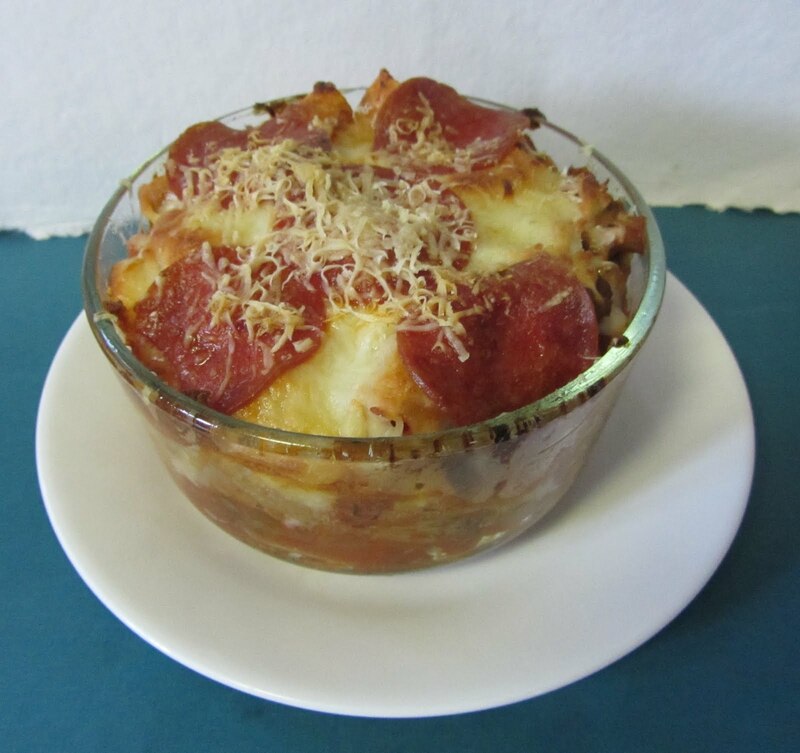 Pour into two greased 2-cup casserole dishes. Sprinkle with Parmesan cheese. 2. Bake, uncovered, at 375°F for 20 minutes or until bubbly. Robyn's notes: very simple recipe. I had shredded Parmesan in the house, so used that instead of the grated and I think it was better. As far as "greasing" the casserole dishes, I sprayed them with Pam cooking spray. 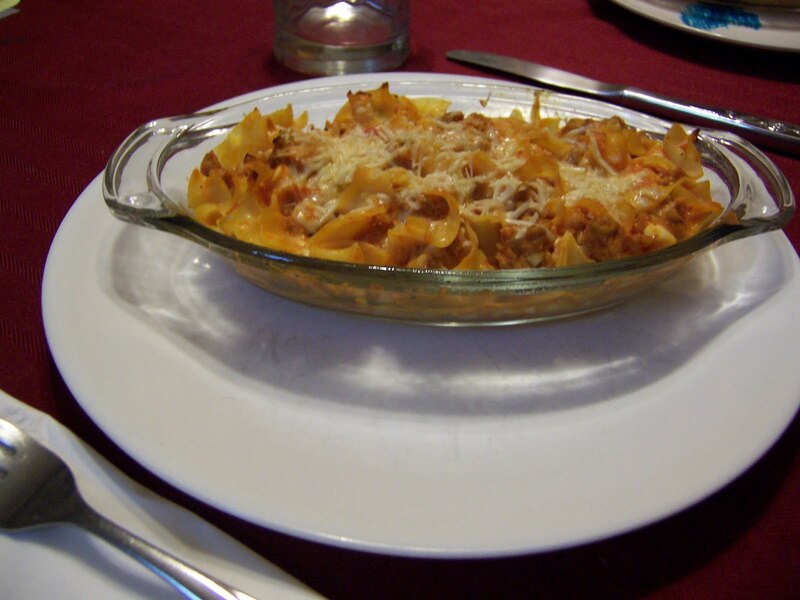 I've made the meatless version in the past using lasagna noodles that I broke in half before cooking. Made this again, for my sister, June 14, 2011, using ground beef instead of turkey. Came out very well.